We’ve all been faced with trials and obstacles in our lives. We can’t choose the cards we are dealt, but only how we play the hand. Dr. Christina Rosenthal shares an inspiring message in this episode on how she overcame obstacles in her life. Not only is she a dentist but a philanthropist. Despite the odds stacked against her, she persevered. More amazing than her accomplishments is the way in which she gives back to those in underserved communities. She realizes that we all have been blessed with skills and abilities and unfortunately, some people in certain circumstances do not have the chance to let their talents shine. Dr. Rosenthal founded, Determined to be a Doctor Someday (DDS), a program that supports and encourages students in rural areas to pursue their dreams in healthcare. 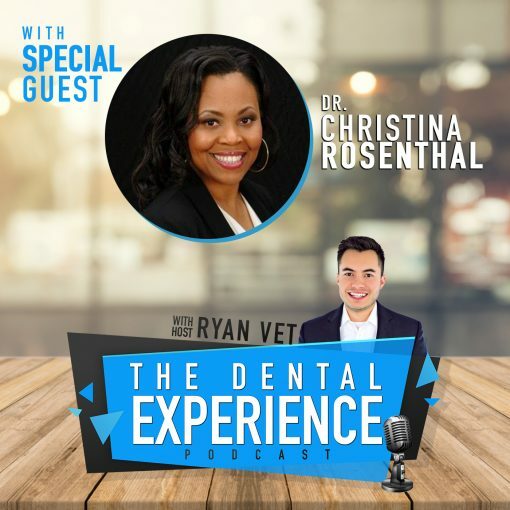 In this inspiring episode, host Ryan Vet, talks with Dr. Christina Rosenthal about her journey and now how she sacrificial gives of herself, her time and resources to help raise the next generation and provide opportunities to all.